So in this month, in May we are concentrating on the 5th question of the 5 questions which is the what. What did we do? 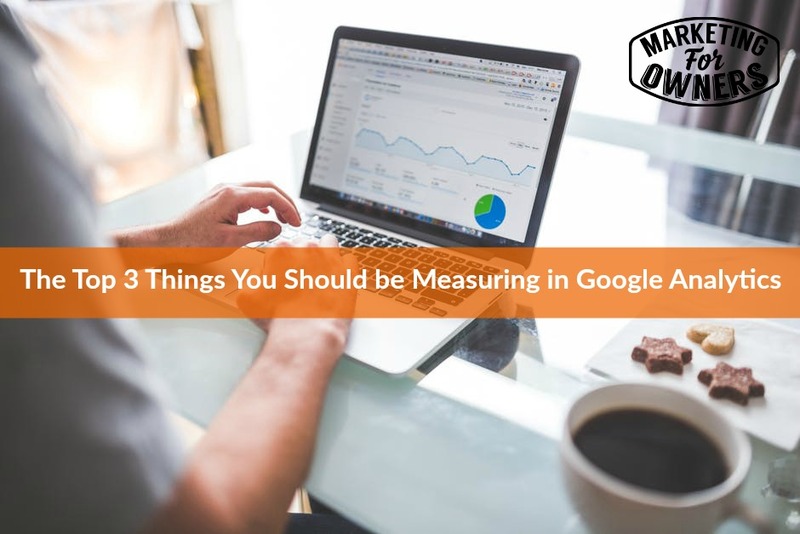 It’s where we look at measuring everything because many of us do things in business and we do not measure. We get our accounts once a year, we don’t look at them, we don’t understand them, we don’t know what they mean, and we are doing it because we have to. We have Google Analytics, we don’t look. Or if we do look, we look at the wrong things. So today we are going to talk about google analytics. Which is for your website. Now of course you might not have a website. But then you are going to die my friend. Your business is not a real business. How can you not have a website? Seriously. How? How? It’s 2017. So if you got a website, you have to have google analytics. Now there are probably many of you thinking, oh I don’t know how to install it. It’s as easy as easy peasy it can be. Just google how to install google analytics. If you can’t, pay someone online, somewhere to get it on your site. It’s actually, it’s be made idiot proof. You know it’s been made more simple and more simple. There are people who will get it on your website. Go to fiverr and see if someone will install google analytics. I am sure you will be able to find someone on their. Anyway, the things to measure in my opinion. Things that have significance. So the first one, is the time on site. Okay. Now what that means is when someone comes to your website, how, it’s how much time they spend in total, in one go. Google calls these sort of a, these sessions. Alright so when someone comes to your website, they mess about, they look at a few pages, or one page or whatever. It is a session. And you can have, you can have a hundred thousand sessions per month. Fantastic. However if they are all leaving after 10 seconds, then it’s fair to say they are not very engaged and they are not getting, they are not actually consuming your content, and they are of no use whatsoever. Now let me introduce you to a very sobering part of your google analytics. So in your google analytics, on, in the left side bar, whatever you are looking at that. If you go into your audience, okay. And then scroll down to behavior. And then this is, I could show you but I am not going to. I am going to show you all my stuff . Under behavior there is one of the options is ‘Engagement’. Now when you look at their, that they have naught to 10 seconds. A lot of the visits are from spammers, from bots, from online robots, little scripts that crawl through the websites, looking for email addresses, to add them to spam lists. Looking for information to send back to google, or to Facebook, or to all sorts of things. Oh it’s amazing how this stuff works and I am not even technical. However I can guarantee that if someone is on your website for less than 10 seconds, they are not engaged. A massive proportion of people who visit your site are in that section. So look at that, and make an effort to get that up because time on site means they are actually enjoying your content and looking around. They are reading it properly and thoroughly. They are not just scanning and leaving, and going to the next one. So that is a metric that you need to look at. And you need to raise overtime because if you can raise the time on site, you are providing better content or a better experience for the user. And that’s half the battle. If we have an article that answers that, that’s great. We may come at top of google. They read that, and then they are off. And that’s it. Now our job is to bring them in like that and then to temp them to read something else or to take an action. Or To go and buy something or to sign up to something. So if our average is less than one page per visitor, it means they are not reading more. If our average is 3 or 4 pages, that’s great. It’s the start. It means they are more engaged. You will, if you look through, you’ll find visitors from, say Pinterest consume more pages than someone from twitter, and from certain sources you’ll find people from referrals. Spend longer on the site. Or people that come direct. Obviously they know the web address and they are coming. Will spend longer on site and consume more pages. So again pages on average is a metric. You need to add overtime. And one of the other things, under that behavior tab, remember I said, when under audience behavior, there is another one about New versus Returning. Because the 3rd metric. You want to be measuring is repeat viewers. People who come back again and again. Because if people don’t come back, if of your visitors, 99% are new, then, I mean fine if you’re, if you’ve got a million viewers and it’s going up and up. But generally you want people to come back every now and again. You want to be the resource, you want to be their reliable source of information. And for that, they need to come back. If you look at that, that statistic, New versus Repeat customers, you’ll find that the repeat ones will be on your site for a lot more and consume a lot more, and spend a lot more. Our repeat customers spend something like 5 times as much as new customer. So those 3 will help you increase the quality and the experience of the user. Very simple. Simple as that. Just measure them. It’s all there for you. Google analytics. You can get the report automatically. And that’s that. We’ll be measuring more statistics and little things that makes a difference, over the coming month. It’s Thursday and it is time for a drive time podcast. 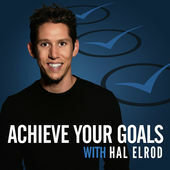 It is time for my good friend Hal Elrod. He’s not actually my good friend, but he is such a nice guy, when I hear him he feels like he’s smiling which he is usually, and he’s been very old lately. But he’s enthusiastic and he’s, he feels like he’s your friend. He is the author of the book, Miracle Morning, which I recommend. But seriously you should read it. And you don’t have to get up early. But it’s just having a morning routine. But his podcast is called ‘Achieve your goals’ by Hal Elrod. I recommend it, you’ll love it. Tomorrow we have our Ones to Watch. And tomorrow we’ve got a wonderful gentleman called Stephen Hackett. Now he is good, if anyone is interested in podcasting, you will love that. I’ll talk to you soon.